What’s an infinity cove? For those who don’t know, it’s a studio space with walls that curve smoothly into the floor so that with careful lighting the illusion that the studio floor continues to infinity can be achieved. They are also referred to as cycloramas or “cycs”. These are normally white, but can be painted any colour. Ours is often painted with blue or green chromakey paint to allow people or objects to be masked out for effects shots. 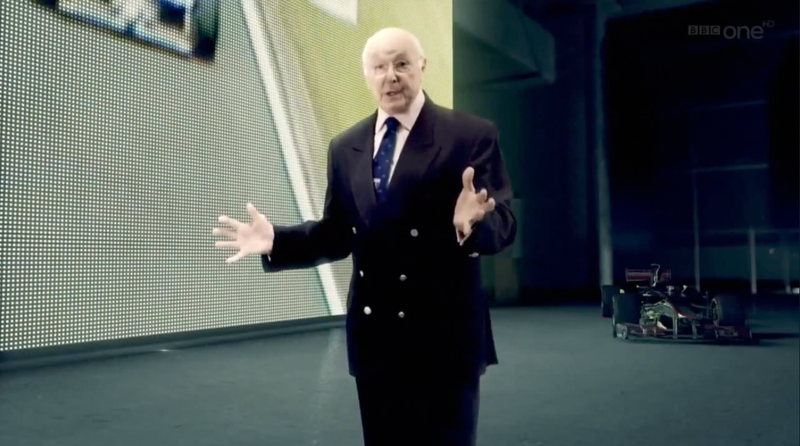 A great example is this promo featuring Murray Walker for the BBC Grand Prix coverage, produced by INTRO. We’re sometimes asked to paint our cove black, but there’s a better (and free!) alternative. We have heavy felt matt black curtains that can be pulled round three sides of the studio. Combined with the black floor at the back of the stage – i.e. the end away from our cove – it creates its own black infinity area. 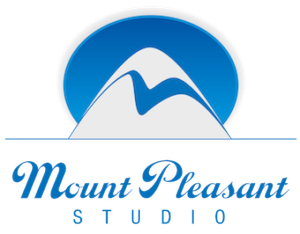 One of my first roles when I started at Mount Pleasant in October 2000 was to oversee the construction of a made to measure purpose built cyclorama that replaced a simple wooden frame with canvas stretched over it. It was constructed off-site from formed fibreglass sections that were then glued together at the studio. In 2006 we installed 8 spacelights and a series of cyclights. As a result all it takes is one flick of a switch for the cove to be fully lit, so for green screen and ‘white background’ shoots there’s often not much more lighting to do before shooting can start. Over the years the cove was in constant use and painted hundreds of times in many colours. 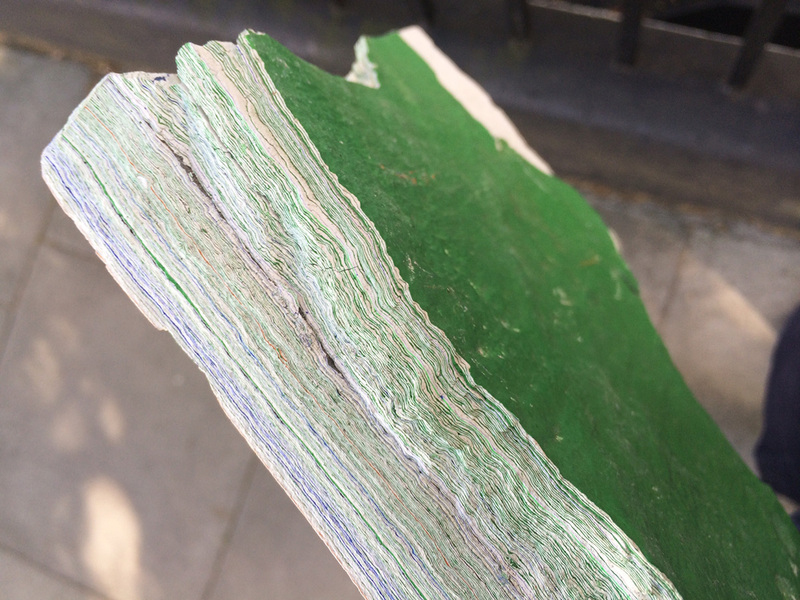 This resulted in a 4cm think coating of paint weighing many tons that eventually became rough and cracked. Cross section of the layer of paint on the old cyc. Here’s a shot of a chunk of the old cyc (you can see that in the early 2000s, chromakey blue was a lot more popular than it is now!). In 2013 we bit the bullet and commissioned Alan King Construction to demolish the old cyc and design and build a brand new bigger U-shaped version over four days that allows shooting into both corners. Rather than describing how the new cyc was made, you can watch a timelapse film of its installation below. 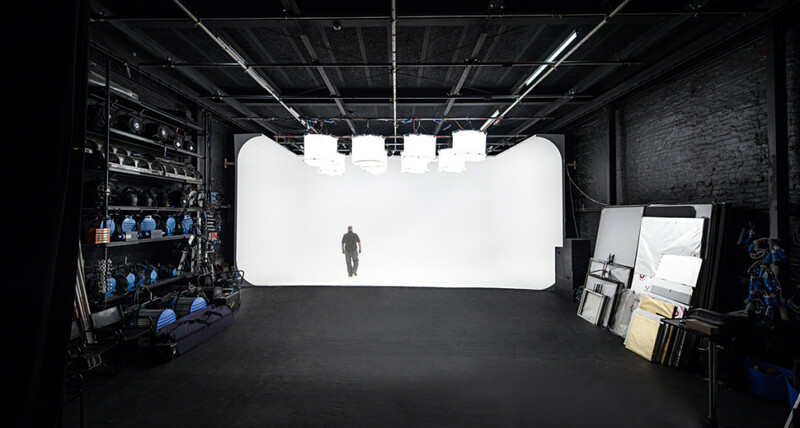 There aren’t many soundproofed studios in London, let alone ones with with an infinity cove, which is probably why we host plenty of commercials, TV programmes and corporate videos either with presenters talking to camera or interviews, from Ricky Gervais talking to Stephen Merchant or Mark Lawson interviewing Noel Gallagher for the BBC. Of course there’s a lot more to shooting at Mount Pleasant that filming in front of a cove. Many of our shoots consist of small or large set builds (here’s a two room set build for IKEA) or food and tabletop commercials requiring a smaller setup. Anything’s possible.